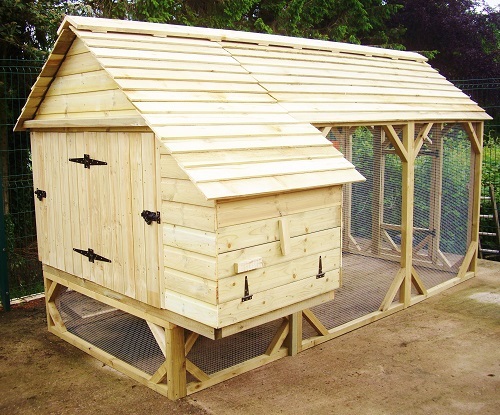 This hen house has been hand-crafted using pressure treated timber, high quality wire and has been designed to accommodate 12 – 15 hens comfortably. There are three nest boxes with an external entrance point for you to collect eggs, making the collection process practically effortless. 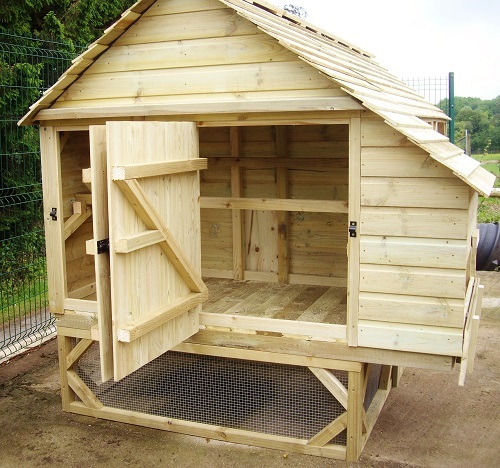 The two doors on the front when both open, create a much easier experience when cleaning out or for general access into your hens accommodation and the height of which it stands also supports this. 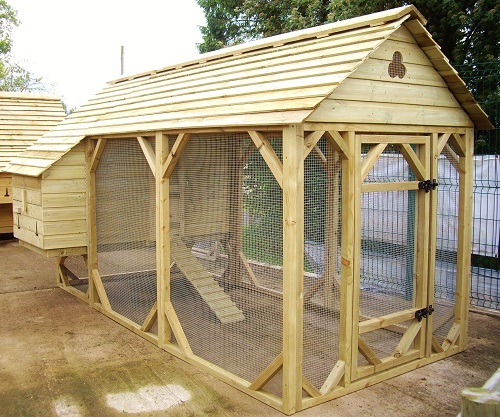 There is an access point for you, via a standard sized door on the end of the run, which can also be left open if you wish to give the hens the option to free range. This item is made to order so please allow around 3 weeks for completion. Once purchased, the Four Seasons can be either be collected, or delivered either via our onsite carpenter or via a haulage company.